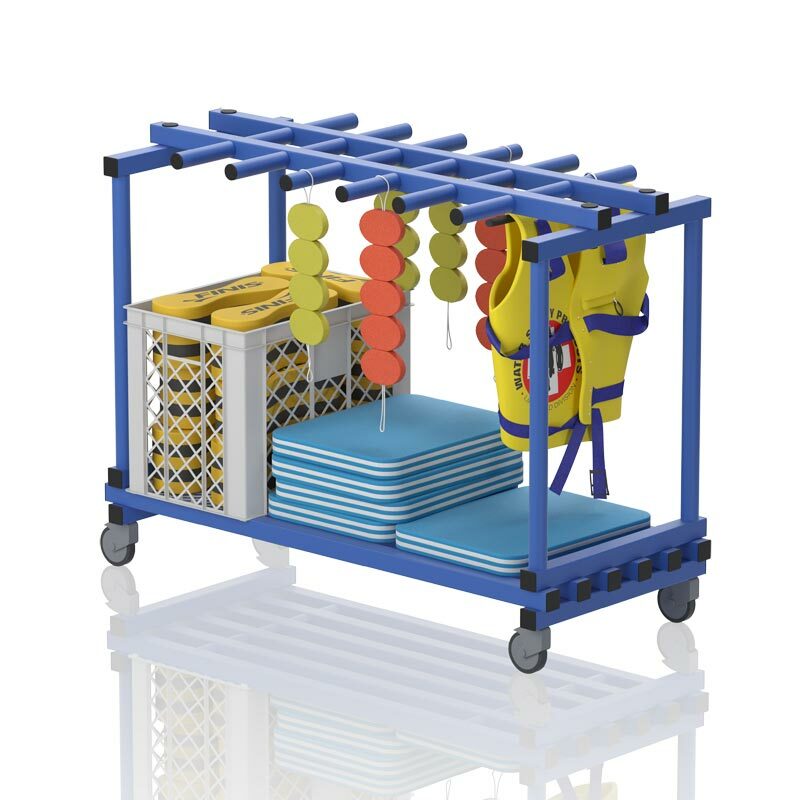 Vendiplas Mobile Platform With Hangers is designed for hanging sport and swimming equipment. 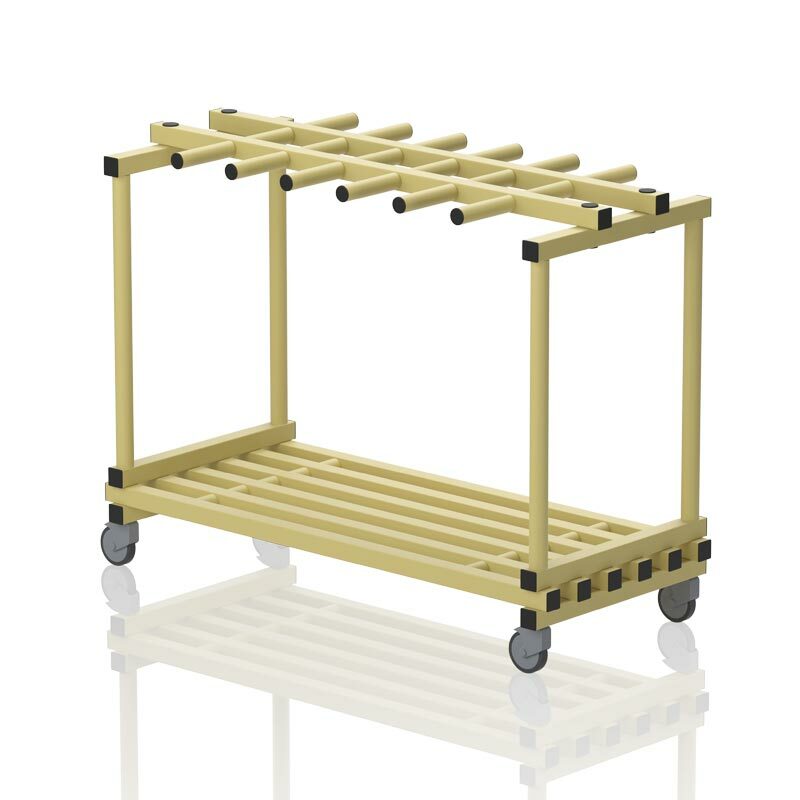 Bottom part is ideal for storing 60 X 40 X 41 baskets. L 137 x W 60 x H 105cm.